The Office of Pesticide Services certifies applicators, registers pesticide products and licenses pesticide businesses. These activities provide for the safe and effective control of pests that attack our crops, structures and health. If you have a pesticide-related complaint, contact the Office of Pesticide Services at 804.371.6560. 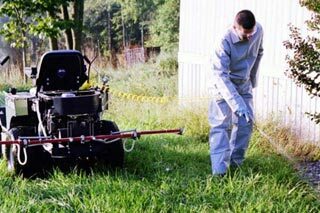 Pesticide investigators are available to inspect and investigate allegations of pesticide misuse.